“Rise and shine cowboys - time to hit the road and pedal those bikes” yells a local woman cruising mainstreet at 6 am. She inspects a falling handrail on the vacant hotel and mutters something about how someone needs to get on these repairs. I think the hotel looks pretty good considering it was built in 1900. I read that the hotel shut its doors in 2009. At 7am one of the Outback riders rings the large bell next to the City Hall. I have to bum an extra lentil soup packet from Steve since I lost one of my oatmeal packets. Then I hit the general store for some extra calories in the form of a breakfast burrito and poor-man's mocha (drip coffee & hot cocoa). Folks are sitting, making coffee and breakfast and rolling out…our little temporary community vaporizes as quickly as it formed. Shaniko completely charmed me. I sense that folks can smell the finish line and were anxious to wrap it up. I guess our group was enjoying itself since we were one of the last groups to get on the road. Shaniko is at an elevation of 3,343, so the first 15 miles are paved and mostly downhill. It’s a kind way to start the day, but I remember how cruel those dirt rollers can be. 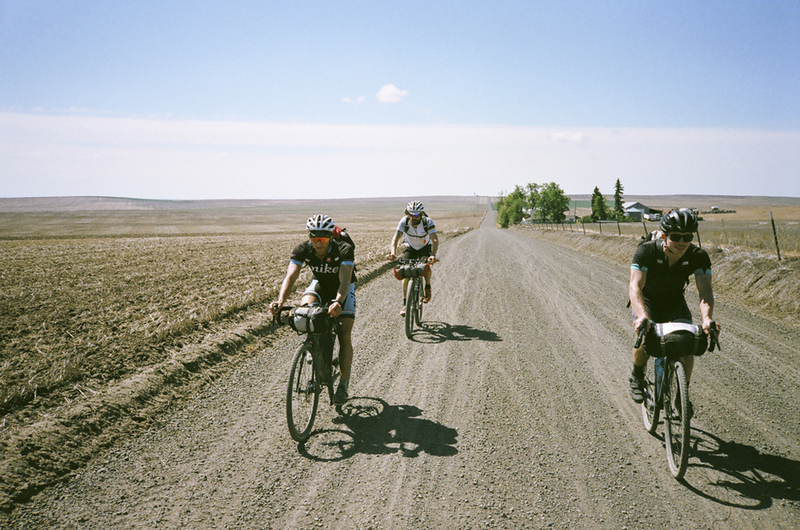 We’re still pacelining and trying to make the most of our road miles. A left turn onto Haggerty Lane takes us off pavement and the real fun begins. We stop and take off jackets and snack a bit. 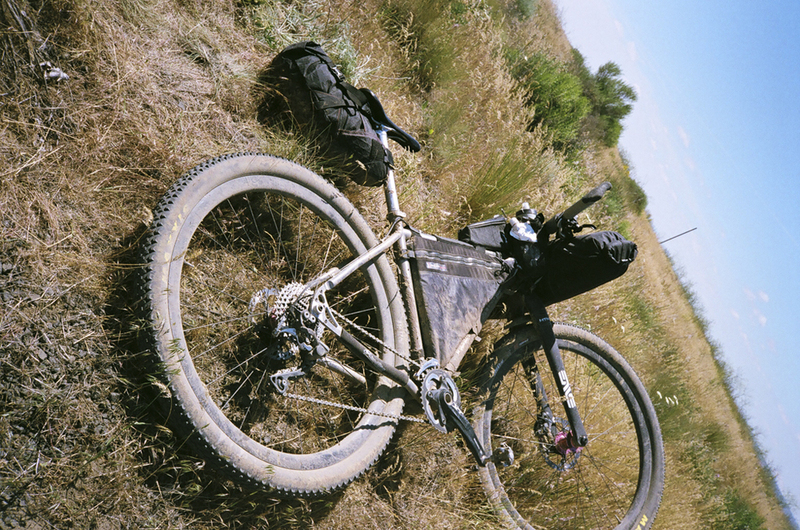 I really enjoyed a lighter load on day four and I’m already strategizing on how I can start my next four-day adventure with my finishing weight. It might not be possible, but it feels great and I was enjoying the extra snap on the rollers. On the last day, I’m riding like I didn’t suffer enough on the last three days. We stopped a couple times to regroup and then we found ourselves on the Stampede course. I thought I knew what it would be like, but I hadn’t factored in the extra boost of riding in a group. We were flying! Steve said something about a snake in the road, but I didn't see it. The rest of the group stops to check it out. At the first sight of the radio towers we pointed to it and decided to let ‘er rip and take Gordon Ridge at top speed. I had a head start, but Mike was still turbo charged and passed me on the last climb to Gordon Ridge. Dude is strong! We all high-fived each other and collapsed on the top of the Ridge, just after the radio towers. One last snack attack before we finish this thing! I settle back into the earth to avoid the howling wind and I look like a sea otter with lunch on his chest. It’s only 15 miles to the finish from Gordon Ridge. There is the standard headwind and it’s either slightly less than usual, or we’re just motivated and punching through it. It occurs to me how much more work the road bike guys are doing than the mountain bike guys on descents like this. I have respect for how much work they’re doing. 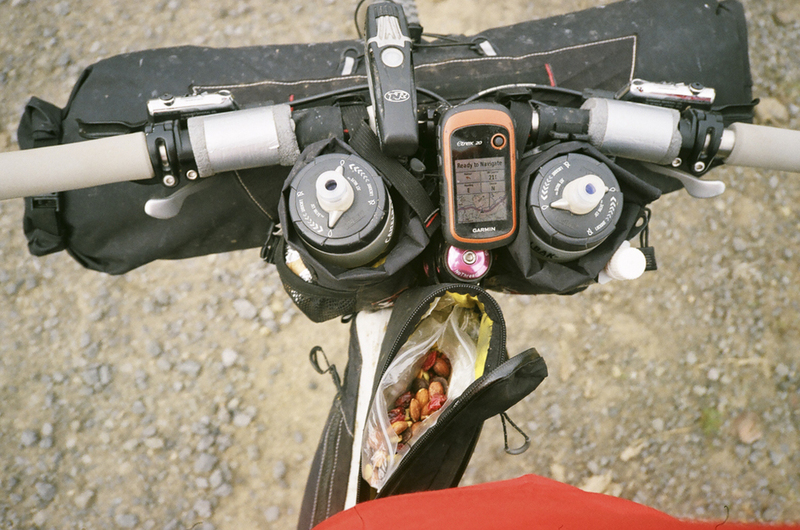 It’s not that the surface of this descent is so bad – it is loose gravel - but it’s the combination of loose surface and the gorge winds trying to push you off the road that makes it sketchy. 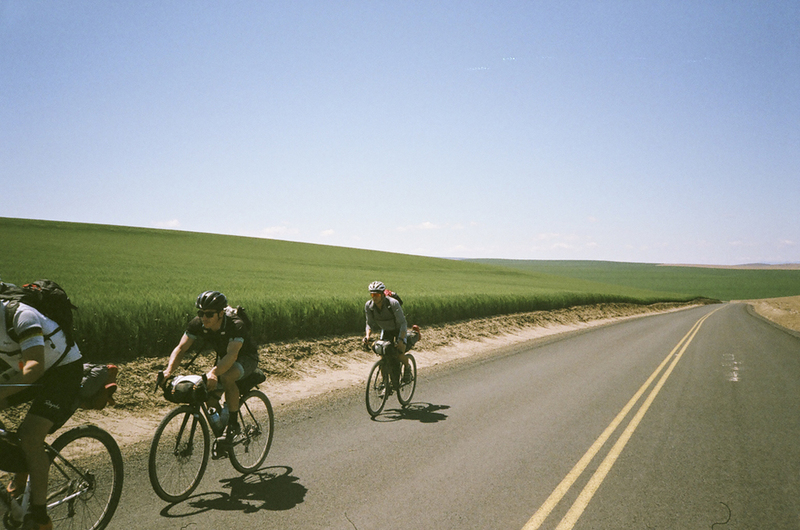 We all managed to keep it upright and before too long we were on the last bit of pavement and racing each other, drafting each other, pedaling hard as if we’re not tired at all. It must be that running for the barn effect, because I feel no pain. I don’t think I’ll know how tired I am until a week after I finished. I do one last pull on Biggs-Rufus Highway, think I’m doing my riding buddies a solid, only to have Mike and Brent blow past me at the last minute. Classic! Turns out we were racing. I pedal like mad to catch Brent’s wheel, before I come to my senses. Nah…I’m done. Nothing left to prove. We made it here. And that’s it. No finish line, just the Deschutes River flowing peacefully by. We jump in and it’s bracing. It feels good to be done. Cold water feels amazing and it was the first shower I had in three days. Tom goes and buys beers from campers. We toast and sit back in the sun. 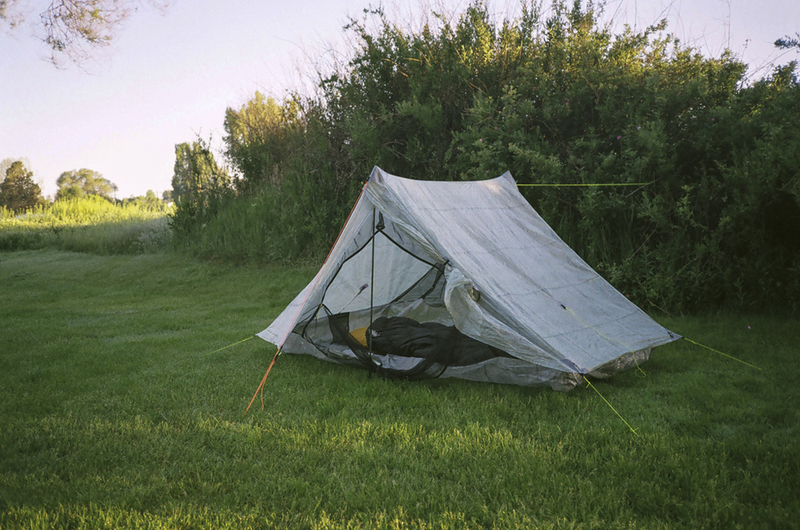 It’s not long before one of the camp volunteer hosts asks us to vacate, since someone might want to camp here. We relocate under the trees with the other finishers and sip whiskey and drink beers. Nobody says much about the ride. There's nothing left to say. 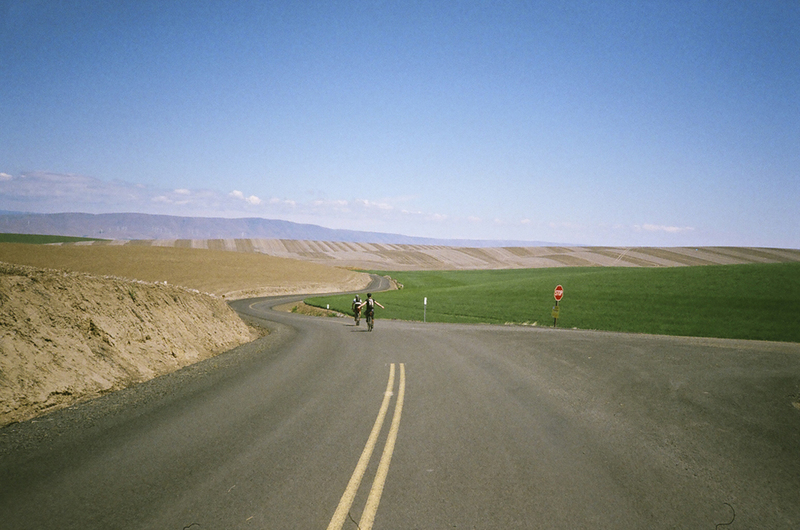 We just sit there, content with our efforts, satisfied with having finished a new route, having pedaled with gear, the entire length of Oregon. Camp shoes - Those Asiana plane slippers are only good for walking to the restroom and back in a carpeted airplane. I’ll be looking for something (other than crocs) that pack down small and weigh next to nothing. Chain lube blister packs - Good thought, but I could have used more lube on this trip and I ended up begging lube. I don't want to be that guy. Oakley jawbreaker lenses - Too dark for the rainy days, but perfect on the sunny days. I'm hoping they do a photochromic lens for the Jawbreaker. I love the Prizm lenses. Overpacking - I’m still bringing too much gear. I brought a button up shirt I could have done without. I brought an extra base layer, etc. Need to take another step towards slimming down the kit. I actually estimated food pretty well. Dynamic stretching - There are lots of good warmup and cooldown exercises. The folks at Northlake have a routine with 8 stretches: knee to chest, hip openers, toe touches, forward leg kicks, heel flicks, back arches, lateral lunges and walking lotus pose. Doing these before and after riding helped me feel fresh. Cook kit – Snopeak Trek 700 pot, Snowpeak Ti-single 450 mug, Trangia stove with Heet for fuel, Evernew Stove Cross Stand.